My beautiful Avena.. when she was just 5 weeks old, this is after she just had her first grooming! Unfortunately she's now in heaven, but she still alive in my heart. What a doll! She even posed for you! Beautiful, sure she has the traits of all schnauzers. Enloy! 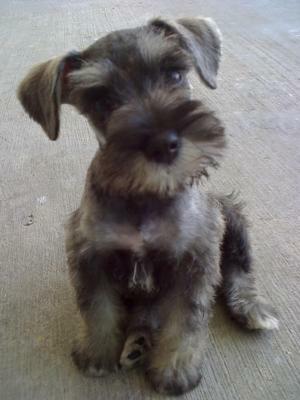 I think your Avenita has the best looking face I've ever seen on a Schnauzer, she was a real stunner.